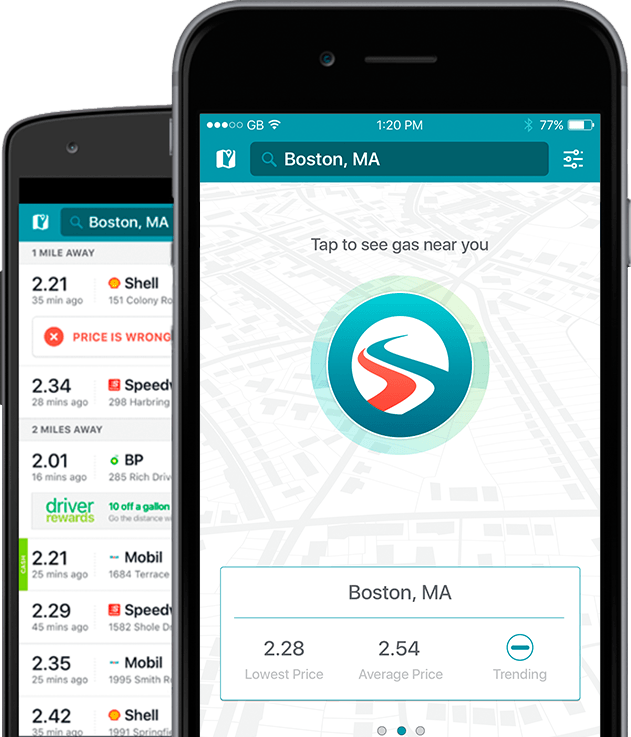 Founded in 2000 and based in Boston, GasBuddy allows consumers to search for and compare gasoline prices across retail stations in the US, Canada, and Australia. With 70 million downloads and price information for 150,000 gas stations, GasBuddy is the largest pure-play gas price discovery platform in North America. GasBuddy app screenshots. Source: GasBuddy website. GasBuddy gathers its gas price information almost exclusively from crowdsourced user submissions. Each day, GasBuddy users submit 2-3 million data points on gas prices across the US and Canada. To incentivize user data submissions, GasBuddy utilizes a points-based reward system – users earn points for completing various activities (e.g., reporting a price), and can convert those points into raffle tickets for daily drawings of $100 gas gift cards. 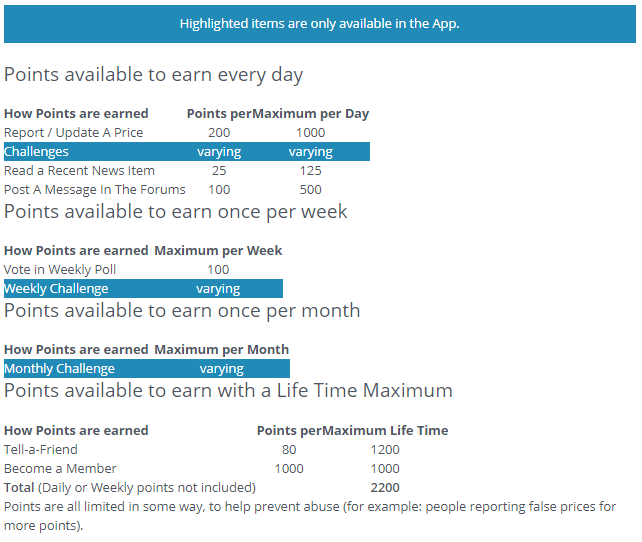 GasBuddy also publicizes points leaderboards to incorporate a gamification / social competition element to the platform. GasBuddy point system. Source: GasBuddy website. GasBuddy’s platform creates significant value for consumers by allowing consumers to find cheaper gas and identify accessible gas stations in the event of fuel shortages. For example, during the mass evacuation prior to Hurricane Irma’s landfall in Florida in September 2017, GasBuddy helped evacuees identify stations that still had fuel supply after many others had run out. Advertising. Because GasBuddy’s users typically need to visit a gas station in the near term, GasBuddy can offer targeted in-app advertising solutions to a host of businesses including gas retailers, CPG companies (e.g., snacks), auto businesses (e.g., auto repair and maintenance), and financial institutions (e.g., gas cash-back credit cards). Business Pages. Akin to what Yelp does for restaurants and local businesses, GasBuddy offers in-app business pages that allow gas retailers to manage their listings, obtain reviews, and gain market share intelligence on their position relative to competitors. Upstream Data Licensing. As the largest source of gas prices at retail, GasBuddy works with companies like OPIS to bundle and sell real-time data to upstream and midstream energy participants who rely on prices at the pump as inputs to production and transportation decisions. Payment Cards. In late 2017, GasBuddy debuted a consumer gas payment card that offers 5 cents off per gallon at over 95% of gas stations within the US. Because gas retailers don’t have to pay credit card fees when consumers use the GasBuddy card, GasBuddy can capture a spread per transaction based on what it saved the gas retailer. Gasbuddy’s business model creates a tremendously sticky network, with both direct and indirect network effects. 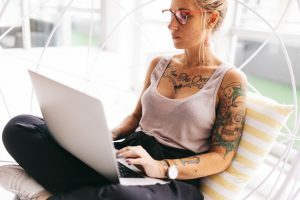 As more consumers participate, the experience becomes more valuable to other users because gas prices and retail station reviews are more up-to-date. Concurrently, businesses benefit from tapping into a large group of potential customers and accessing more reliable real-time pricing data. GasBuddy’s new payment products also create additional incentives to remain on the platform. The primary challenge with crowd-sourced data is maintaining data accuracy. To address these issues, GasBuddy requires users to be geolocated within range of the gas station that the user intends to input data for. In some cases, GasBuddy also works directly with the gas stations to ensure accurate price data. Another challenge with crowd-sourced data is a potential reduction in willingness to contribute once the network becomes too large. GasBuddy has appeared immune from this issue as user submissions have continued to grow, likely partly due to its incentive system and partly due to users feeling like their submissions have greater impact with a larger audience. One external challenge is competition – in particular, navigation apps with large user bases, like Waze, also offer gas price data. However, several factors reduce the impact of competition. First, GasBuddy’s first-mover advantage (12 years before Waze) has lent it significant platform scale that boosts the value of participating on the platform. Second, consumers tend to use Waze only when they’re navigating to new places, while GasBuddy is the go-to discovery app for all types of everyday use (e.g., people commuting to and from work). Finally, GasBuddy’s payment offerings and forthcoming in-app payment functions should make the platform even stickier and insulate it from competition. As the largest gas price discovery platform in North America with a suite of new value-add products, GasBuddy appears well positioned to continue capitalizing on its crowd-sourced platform model. “About – GasBuddy.Com.” Accessed March 21, 2018. http://www.gasbuddy.com/About. “Advertise With.” GasBuddy for Business | GasBuddy (blog). Accessed March 22, 2018. https://business.gasbuddy.com/for_business/advertise-with-gasbuddy/. “As Florida Fuel Grew Scarce, GasBuddy App Change Filled Gap.” Bloomberg.Com, September 12, 2017. https://www.bloomberg.com/news/articles/2017-09-12/pizza-fueled-hackathon-helped-gasbuddy-prep-for-hurricane-irma. “Business Pages.” GasBuddy for Business | GasBuddy (blog). Accessed March 22, 2018. https://business.gasbuddy.com/for_business/business-pages/. “GasBuddy App Vows to Save 5 Cents a Gallon with New Feature.” USA TODAY. Accessed March 22, 2018. https://www.usatoday.com/story/tech/talkingtech/2017/08/28/gasbuddy-app-vows-save-5-cents-gallon-new-feature/607053001/. “GasBuddy Is A Winner On Both Sides Of The Pump.” PYMNTS.Com (blog), September 5, 2017. https://www.pymnts.com/news/payment-methods/2017/gasbuddy-retail-convenience-store-hurricane-harvey/. Very interesting article, thanks James. As your posts highlights, GasBuddy’s current value proposition is clear to both consumers and gas-retailers. However, what happens when we transition to mass adoption of driverless cars and “transport-as-a-servce” solutions that reduce individual ownership? I know this world is still probably 5-10 few years away, but I think it would create serious consequences for GasBuddy’s business model. If there are fewer drivers and individual owners, there will likely be a dramatic reduction in the number of crowdsourced price-reports received by GasBuddy. The core information would still be highly valuable (especially to new corporate fleet owners whose driverless cars will fuel up constantly between picking up and dropping off passengers), but GasBuddy will need to find a new method to crowdsource the inputs. Really enjoyed the write up, James. A question that I had though is on gas station economics. What are the primary drivers of gas prices? Is it real estate, the cost of the gas or is it a loss leader to attract customers to the attached convenient stores. I understand the company has been operational since 2000, so they must be doing something right, but it would be interesting to tease out what drives gas prices and whether a low gas prices actually creates value for the customer, or if it is only perceived value. 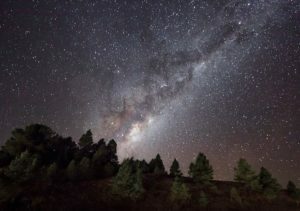 Super interesting post! 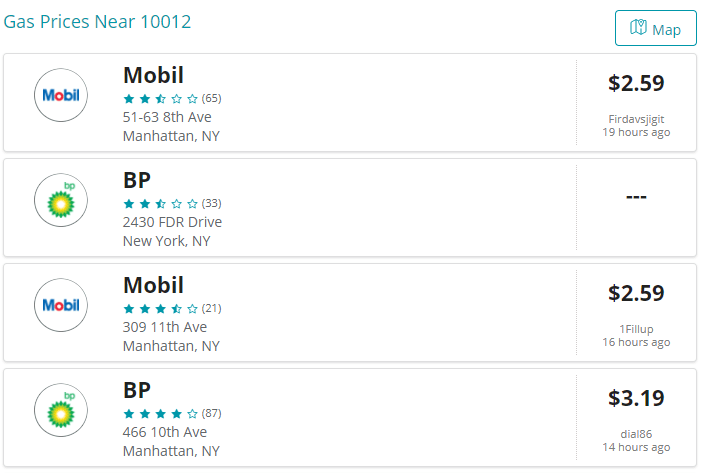 Funnily, I’ve used GasBuddy a few times and had no idea that the data points were crowd-sourced. Similar to Austin’s point, I do wonder what the implications are for the company as more drivers switch to electric vehicles. Do you know if GasBuddy plans to play in the charging station space as well? Thanks for sharing James. I’ve used GasBuddy and find it very convenient. However, with gas prices generally low, I tend not to be as price sensitive and focus almost exclusively on location. Another challenge for GasBuddy is competition from Google/Apple. On both of their maps apps I’ve started seeing prices show up when I search gas stations. I think GasBuddy will really have to leverage their up-to-date data stream as their key competitive advantage in order to keep up with the other tech giants.